A blog by Kay Richmond, (SIGBI Programme Director) and Rita Beaumont (SIGBI Assistant Programme Director to health and food security). “Following on from Dr. Nina Smart’s blog in December 2018, in which she explains what Female Genital Mutilation (FGM) is and ‘why it takes place’… we might ask, what can we do to help stamp out this violation of women? 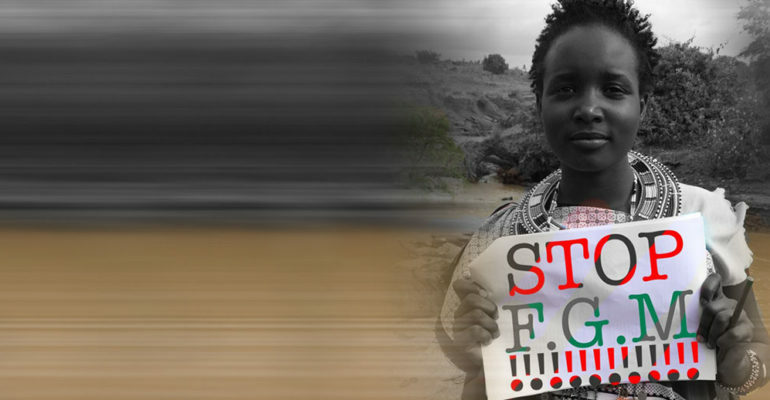 It is reported that at least 200 million girls and women alive today living in 30 countries have undergone FGM, and SIGBI, like other Soroptimist Federations has many clubs working on ways to combat this violation of human rights. Too many people, Soroptimists included, find it a difficult issue to confront. Often culture is used as the excuse for doing nothing. Adherence to cultural norms can lead to irreversible damage and may be seen as akin to child abuse and domestic violence, which we have, at least in some countries, begun to reverse. How is this happening? Several approaches have to be employed. It is not enough to pass laws against something. That law has to be implemented and enforced but on its own, this is not enough. All members of a community must accept that this practice has to stop before we can even begin to reverse the harm done to so many. We must find ways of raising awareness and educating people so that all may understand the problem and get on board with measures to combat it. This means men and women, community leaders, those profiting from the practice – in truth everyone! Can this be done? Yes, it can! A number of clubs across SIGBI have done this with their political representatives (central and local), their communities, schools and other local and global organisations, such as Bristol Zero Tolerance and Amnesty International. 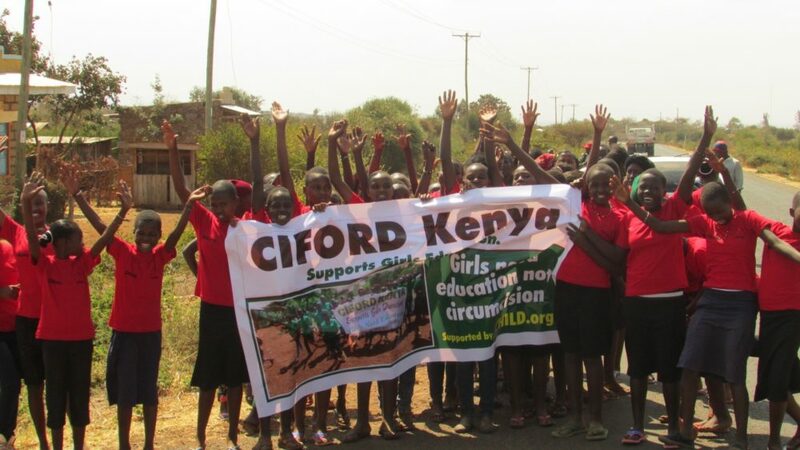 SIGBI’s current Federation project, the Meru Women’s Garden Project, includes an element to address FGM through ‘Alternative Rite of Passage’ organised by The Community Initiative for rural development (CIFORD), and funded by Soroptimist International of Great Britain and Ireland. Seminars seek to empower young women on the subject of FGM and are followed up by a graduation ceremony for girls and boys with parents and the community in attendance, emphasising the societal importance of what the girls had been taught in the course, and actively ensuring the community is made aware. This course dispels the myths around female circumcision and enables the girls to make informed decisions about their health by saying ‘no’ to FGM. Another initiative supported by clubs in the UK is one set up by a midwife who has witnessed the consequences of FGM during her practice in England, and regularly travels to remote rural communities in North West Kenya. Attempting to alter attitudes to FGM by empowering girls via an education programme, the programme also includes traditional birth attendants and attendance at a men’s forum to ensure they too are aware of the risks faced by girls. Dangers include infection and haemorrhage as a result of poorly conducted, unhygienic procedures, plus possible complications during pregnancy and childbirth later in life. However, the picture is not entirely bleak, the practice of FGM is seen to be declining although the global pattern is uneven, and the work taking place to change attitudes and arm young girls, women and men with the knowledge and information required to make informed choices, can be seen to be making a difference. 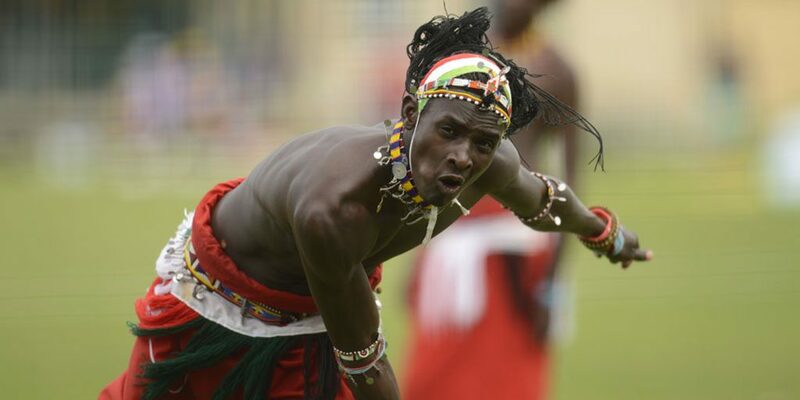 Read a previous SI interview with Sonyanga Ole Ngais, Captain of the Maasai Cricket Warriors in 2016.